If you are looking to turn your stock golf cart into a passenger hauler or Limo Pete has you covered. Pete stocks numerous golf cart stretch kits for all major brands. Pete has the right kit to stretch your golf cart. 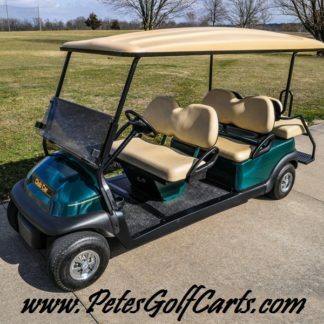 Whether you own a Club Car, Ezgo or Yamaha golf cart Pete has what you need. Please note that all of Pete’s Golf Cart Stretch kits will require you to cut the frame on your golf cart. Pete recommends that you have a professional shop to this conversion if you do not know your way around a shop or tool box.